The Olive tree of Vouves is located in Ano Vouves, a village 30 kilometres west of Chania in Crete. 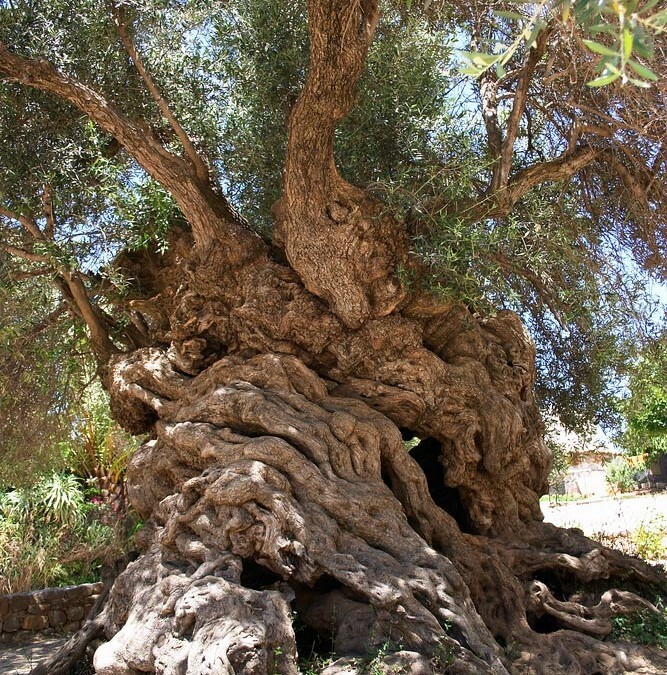 Though its exact age cannot be verified, it is one of the oldest olive trees in the world as its age is estimated over 3,000 years old. 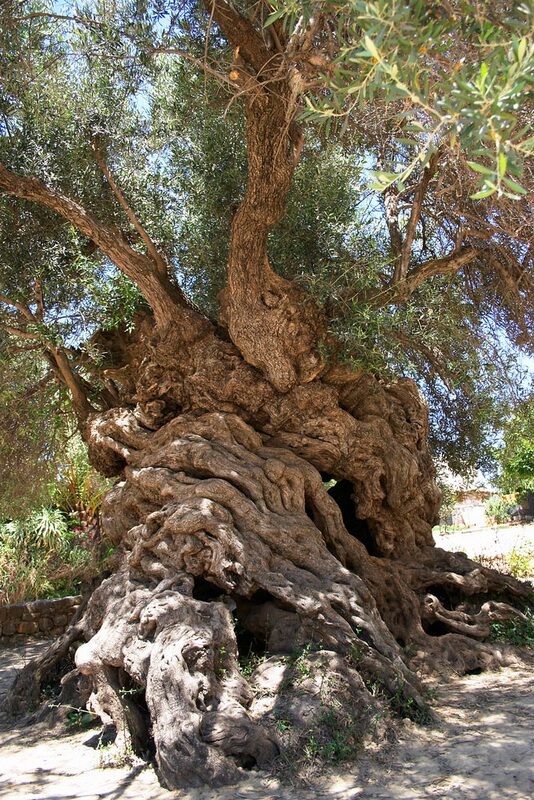 There are seven olive trees in the Mediterranean known to be at least 2,000 to 3,000 years old and the tree of Vouves is among them. This amazing over four meters wide miracle of nature still produces olives, which are highly valued. Due to its ecological and historical significance, it has been declared a natural heritage monument by decision Nr. 603/17-2-1997 of the Secretary General of the Region of Crete. 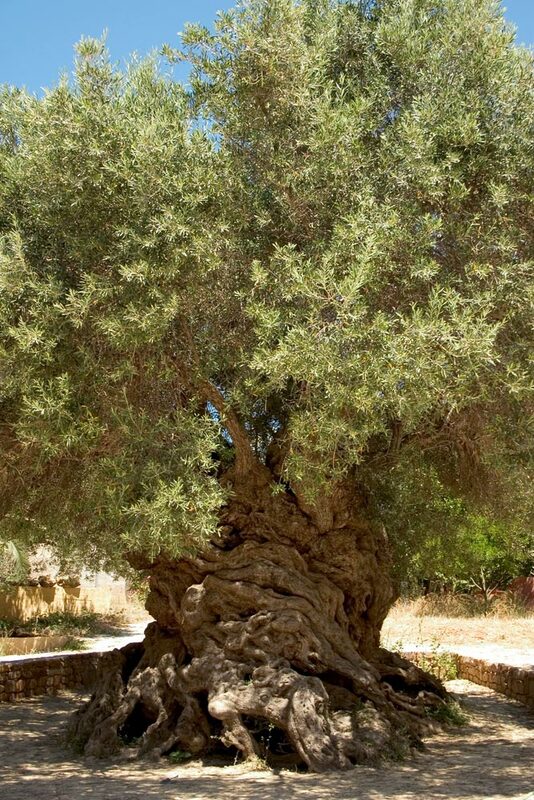 The olive tree of Vouves is annually visited by approximately 20,000 people from all over the world. Next to the Monumental Olive Tree of Vouves stands a traditional building housing the Olive Tree Museum of Vouves. The Museum tries to preserve and promote this great legacy as well as exhibits the tools that were used until the middle of the previous century (mid 1950’s) by the people of this land.